↑Study 2A (Study 2-Alt FLT DK). Image courtesy of FAS. ↑Study 2C (STOVL FLT DK). Image courtesy of FAS. ↑Study 3B (Study 3-Conventional). Image courtesy of FAS. ↑Study 3C (Stealth Monohull). Image courtesy of FAS. ↑Study 4 (Traditional FLT DK). Image courtesy of FAS. 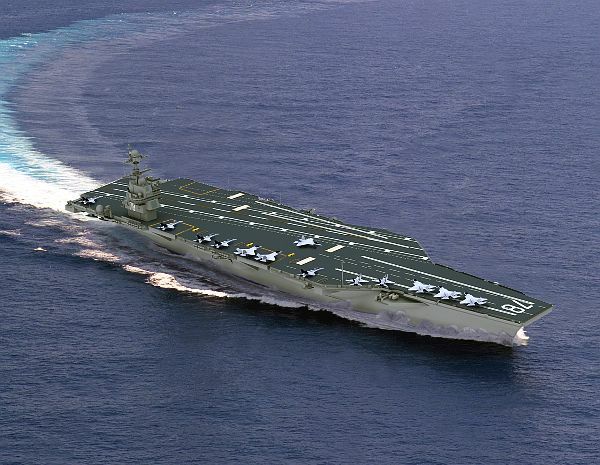 ↑Artist's concept of CVN-21 one of a new class of aircraft carriers. 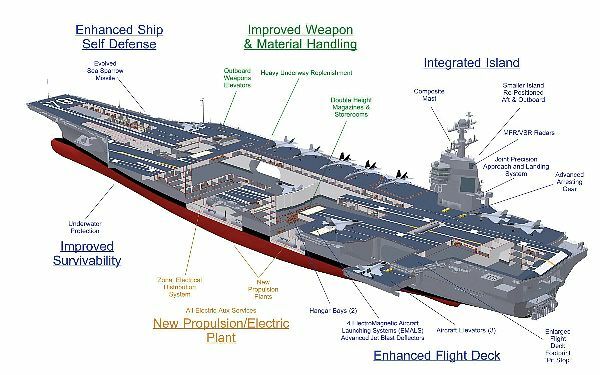 A new nuclear propulsion plant will power the next class of aircraft carriers. The new plant will require fewer operators thereby lowering life-cycle costs, and will provide increased electrical power that will be available for the demands of developing technology. Smart sensors will assist in further reducing Navy watch standing requirements and in automating damage control functions such as detecting fire and flooding situations. 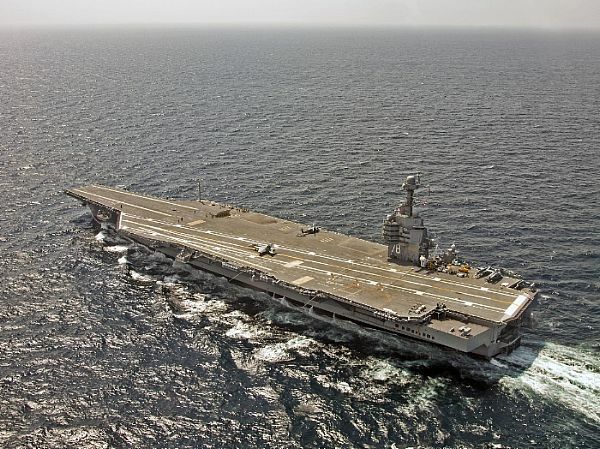 Flight deck redesign and a transition to an advanced aircraft recovery system (AARS) will reduce crew workload, enhance safety and reduce the costs of operating and maintaining a carrier throughout her planed 50-year life cycle. U.S. Navy graphic, June 6, 2003. 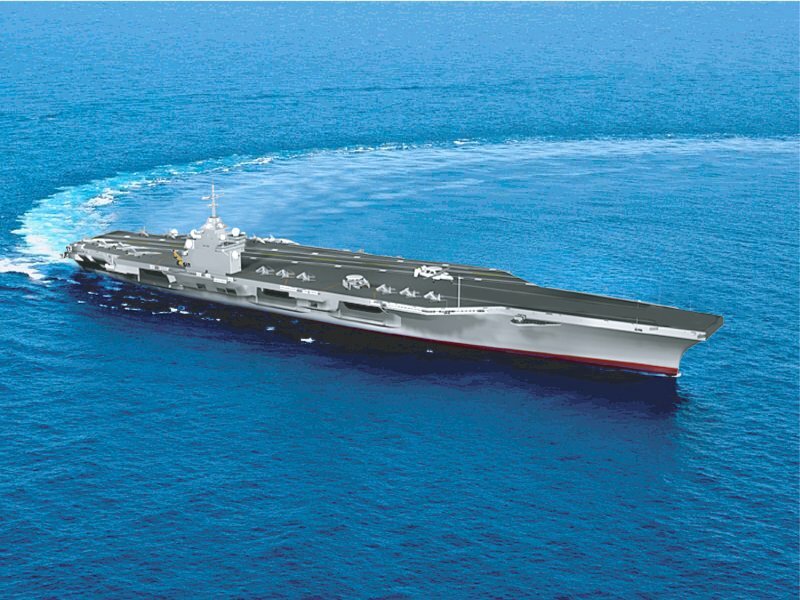 Note: At the 2003 Navy League show Newport News displayed a model of a new carrier with four catapults and three, rather than four, elevators -- the island being moved aft. The large, redesigned deck makes it easier to handle aircraft. When combined with the newer, more powerful and faster elevators and catapults, it is claimed that the number of sorties per day can be significantly increased. Image courtesy of NavSource.